USS Bailey (DD-492) is seen at an unidentified anchorage on an unidentified date wearing 31/6D. The colors should be dull black, ocean gray and haze gray. Photo source: NARA BS 125588. Bailey is seen again this time from the port side at what may be Humboldt Bay wearing 31/6D. Photo source: NARA BS 125589. 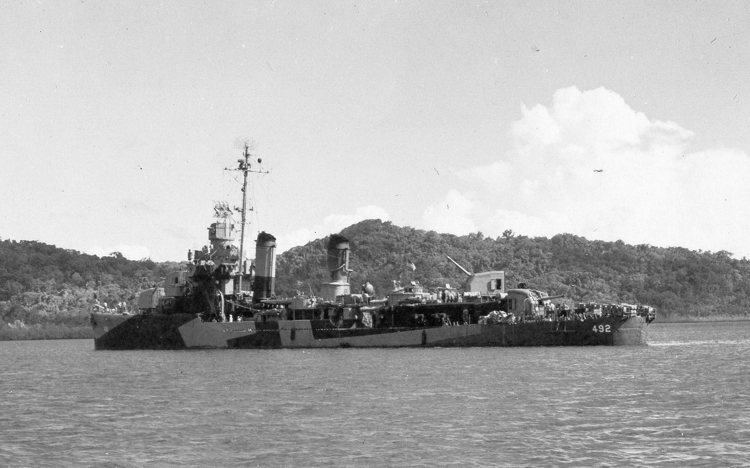 Bailey again from the port side wearing 31/6D camouflage pattern, this time at Mare Island on December 8, 1944. Photo source: NARA BS 76962. 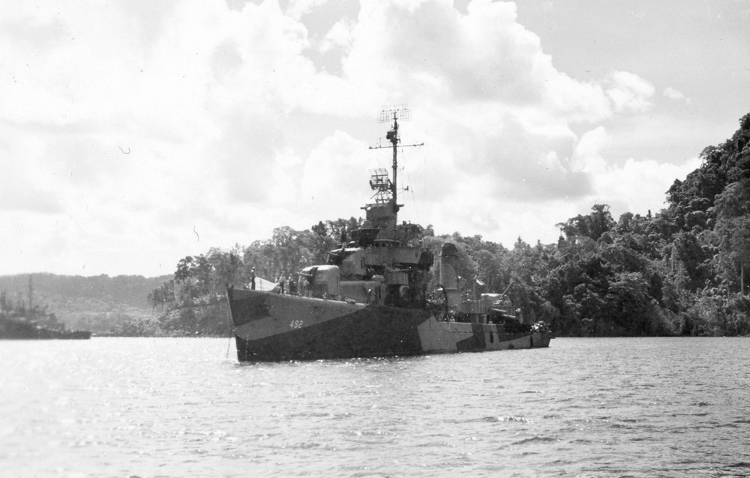 USS Bailey (DD-492) again from the starboard in 31/6D outside of Mare Island on December 8, 1944. Note the ECM antennas mounted on the aft deckhouse. Photo source: NARA BS 76961.